The North Alabama SolidWorks Users Group (NASWUG) would like to announce our June 2008 NASWUG-RSA meeting. The meeting will be held on Tuesday June 24, 2008 from 11:00am to 1:00pm on the grounds of the Redstone Arsenal. The meeting will be held at the Prototype Integration Facility (PIF) located just behind Building 5400 off Martin Road. CLARIFICATION: If you signed up for the meeting on Friday, the confirmation e-mail incorrectly states that the meeting is at the SELA auditorium. This has been corrected, but just to reiterate, the meeting is at the PIF. 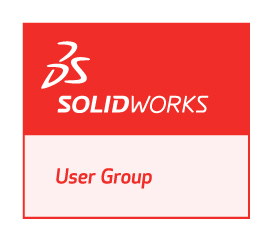 NASWUG-RSA President Gary Hall will give a presentation on SolidWorks Templates. The presentation will focus on the features and options found in Part, Assembly, and Drawing templates. The meeting is open to all SolidWorks users who have their own pass to get on the grounds of the Arsenal. Lunch and door prizes will be provided. To RSVP, click on the link below and fill out the form. Don’t forget to hit “Submit” when you are done!